Circuits are faster and more tightly packed than ever, wireless technologies increase the electromagnetic (EM) noise environment, new materials entail entirely new immunity issues, and new standards govern the field of electromagnetic compatibility (EMC). 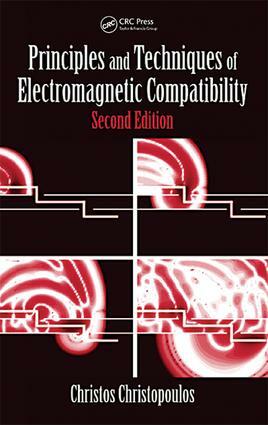 Maintaining the practical and comprehensive approach of its predecessor, Principles and Techniques of Electromagnetic Compatibility, Second Edition reflects these emerging challenges and new technologies introduced throughout the decade since the first edition appeared. Along with new and updated content, this edition also includes additional worked examples that demonstrate how estimates can guide the early stages of design. The focus remains on building a sound foundation on the fundamental concepts and linking this to practical applications, rather than supplying application-specific fixes that do not easily generalize to other areas.